Although commonly referred to as the Cambridge cologne or barber bottle, this piece is part of the Cambridge Wheat Sheaf family. 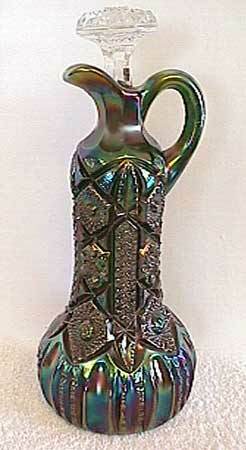 It stands 8 1/2 inches tall and is found mostly in green. Without a stopper the value will be a fraction of a complete example. 500 (2017) The whiskey decanter above is quite rare; only a few have sold in the last 10 years. 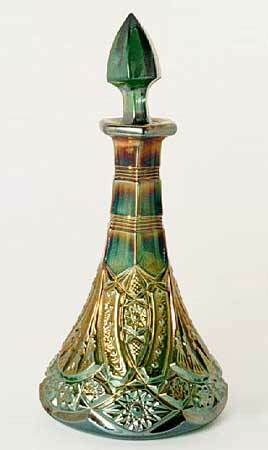 This green example with a clear stopper and a crack sold for $275 in 2003. In 2010, a green example with minor nicks on the stopper sold for $2,200. 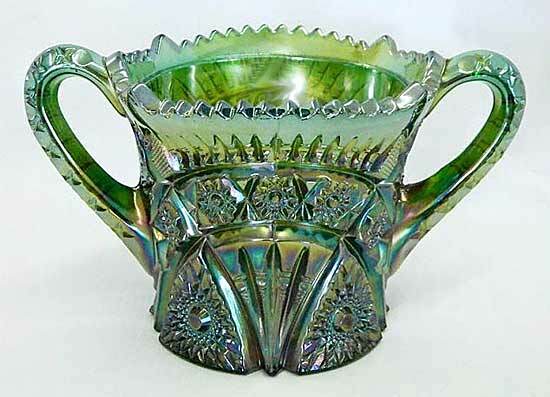 Another green, with stopper damage, sold for $1,900 in 2013. In 2017, a green example with stopper damage sold for $9,250. As rare as the cologne bottle and whiskey decanter are, the wine decanter at left is even more rare, with just a couple known. 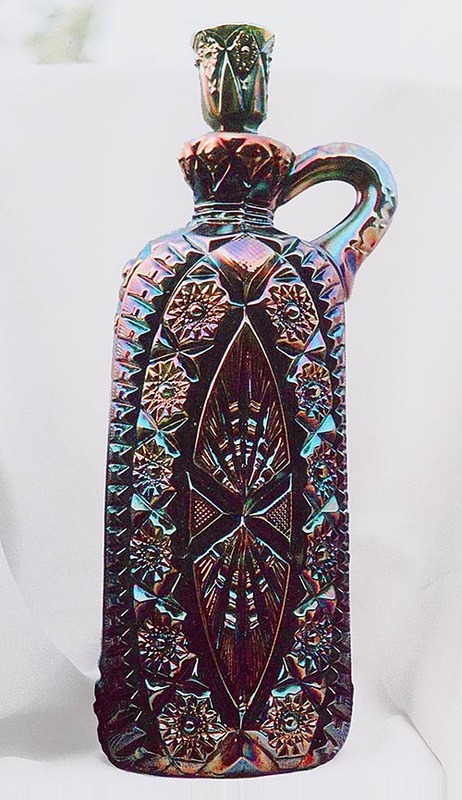 The Forks cracker jar is considered by some collectors to be part of this pattern.